Christian Aid is a Christian Organisation that insists the world can and must be changed to one where everyone can live a full and happy life, free from poverty. They work globally for profound change that eradicates the causes of poverty, striving to achieve equality, dignity and freedom for all, regardless of faith or nationality. They are part of a wider movement for social justice. They provide urgent, practical and effective assistance where need is great, tackling the effects of poverty as well as its root causes. Each year our fund-raising activities for Christian Aid at St Andrew's focus during and around Christian Aid Week, which is held during May each year. This year it falls on 12th - 19th May and we will be collecting at B&M on the Thursday and Friday as well as distributing envelopes in church. 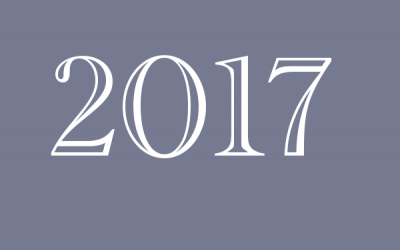 Last year we had envelope distribution in church and for friends, and public collections at B&M in Burnham and a paper quiz. We also had prayer leaflets available in church as part of our spiritual reflection on global poverty and the role of Christian Aid and the role of Christian Aid in the world. Lent leaflets available in the church from the start of March to help us focus on Christian Aid during that time. 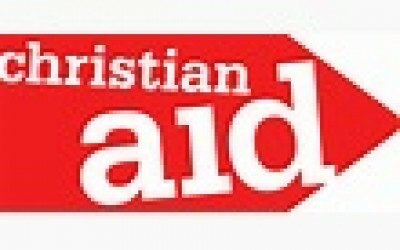 Christian Aid Quiz on Friday November 1st at 7.30pm in the Church Hall. There is a Burnham-on-Sea and District Christian Aid Committee that co-ordinates activities in the area. Gill Miller from St Andrew's is the secretary and can be contacted on 784658. The unexpected tsunami in the Sunda Strait in Indonesia has probably become a news item of the past to most of us. It is still very much a reality for those who were affected. 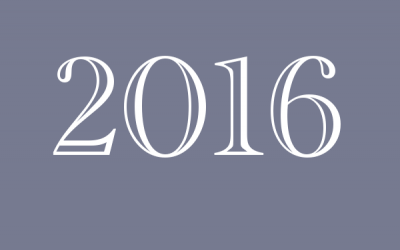 There are 2 upcoming events: AGM on 2nd Feb and Collection at Tesco on 22nd Feb. 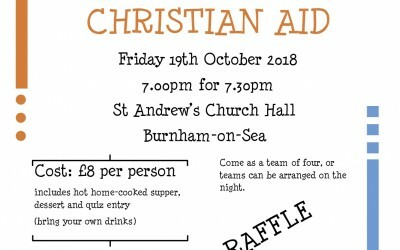 I hope you have made a note to come to the Christian Aid Quiz on Friday 19th October – 7.00pm for 7.30pm. Last year we raised over £1000 and we are trying to do the same this year. Thank you to all who were involved in Christian Aid Week this year, your gifts of time and money are greatly appreciated. We have tended to focus most of our efforts during Christian Aid Week. Find out whats happening during Christian Aid Week 2018. Have you sat at home worried about whether the storm outside is causing damage? The decorations on a tree in St Andrews on behalf of Christian Aid drew attention to the wastage of food over the Christmas period. St. Andrew's held a few events to raise awareness and much needed funds for Christian Aid.